How do I share uploads with my team? Within the 'Background' or 'Graphics' tab in the left-hand pane, click on the 'Uploads' subtab. 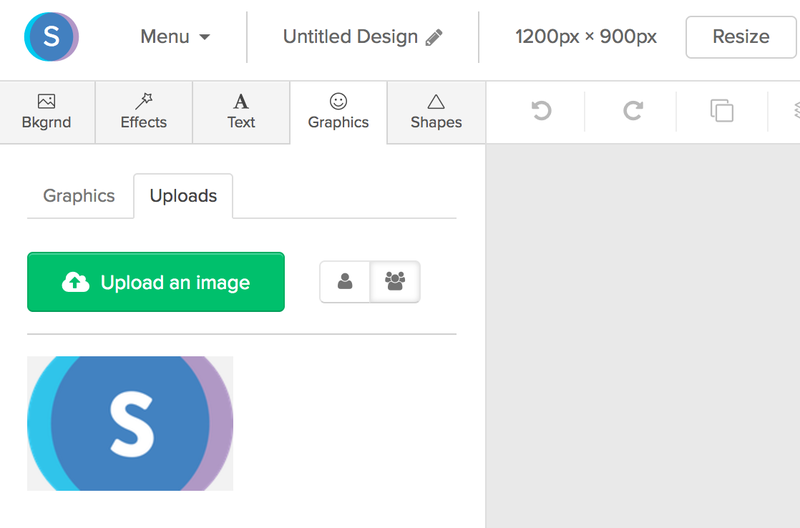 Before uploading your image or graphic, click the Team option. 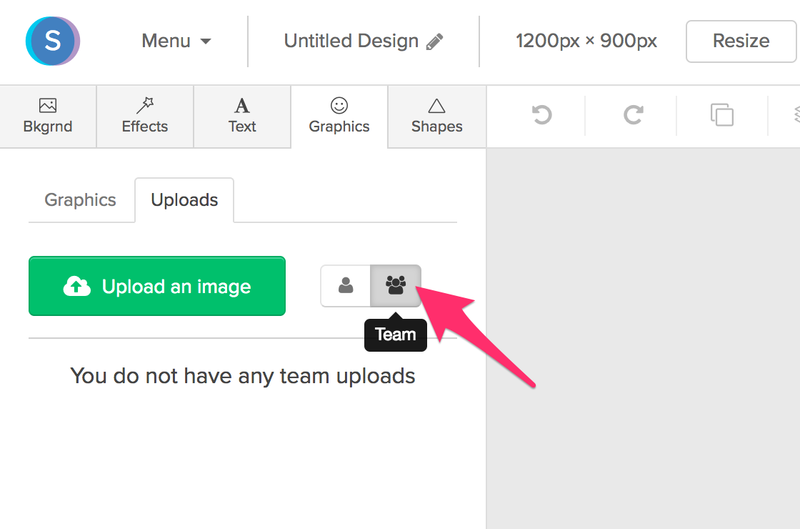 Once the team option is selected, click the 'Upload an image' button and select the item you'd like to upload. Your upload will then be accessible to your entire team.